For visitors from around the world, the opportunity to see polar bears and beluga whales in the subarctic splendor of Churchill is a major attraction. This window to the tundra world is a source of pride for Manitobans. It also might be a solution for the shipping woes of prairie farmers. Ecological tourism in Churchill faces a crude threat, as Omnitrax – the company that owns the rail line to Churchill as well as the seaport – is planning to ship crude oil up sketchy railway tracks through polar bear habitat, and then by tanker through beluga whale habitat. The explosive rise in rail transport for crude oil continues to be a heated topic in Canada. This growing industry practice of shipping oil by train has been likened to a “pipeline on rails” – an endeavor with substantial community and ecological risks, but with none of the environmental assessments or community input required of a new pipeline. In 2009 there were 500 rail car loads of oil shipped in Canada. By 2013, that number had grown to 160,000, with no substantial new regulations to govern this dangerous cargo. The catastrophic loss suffered in Lac Mégantic, Quebec last summer demonstrated the risks all too well. Omnitrax says it is pushing forward with the oil-by-rail plan in Manitoba’s north, despite widespread opposition from communities, including Churchill. The Manitoba government has come out against this plan, but the federal government has jurisdiction over railways and has been silent on this issue. The rail line to Churchill – known as the “Muskeg Express” – winds across tundra and wetlands, and is one of the only rail lines in the world that traverses permafrost. The melt-freeze cycle, combined with the wetlands, creates a constantly shifting foundation and an unstable track. During the month the Wilderness Committee was working up in Churchill last fall, there were four accidents on the track, including several derailed and spilled cars. Derailments happen all the time. And due to the lands and climate that this railway traverses, there is nothing that can be done to make this track more stable. An accident is not just a possibility – it’s a guarantee. From Churchill, oil will be shipped out through Hudson Bay and Hudson Strait. This is a lonely stretch of water, with few boats or communities. There is currently no major spill response equipment in Hudson Bay. The necessary equipment – such as boats, skimmers and booms – is located in Quebec, and would take three to five days to transport into Hudson Bay. Looking further at cleanup of a potential spill in the windy and icy waters of Hudson Bay, you’ll find the skimmer ships and booms don’t work in these conditions. Even in the best conditions, cleanup crews can only hope to recover between 0 and 30% of the spilled oil. The two other common spill cleanup techniques are horrible options – dump toxic chemical dispersants into the water, or attempt to burn all the oil out of the water. In addition, building Manitoba’s future on another fossil fuel project runs counter to all attempts to mitigate the climate chaos that is upon us. Every decision we make as a society to expand the use of fossil fuels will contribute to the warming of our planet, and cause the extreme weather events that are rapidly overwhelming our world. The provincial government is working on two big initiatives for the north, designed to preserve the habitat of belugas and polar bears. 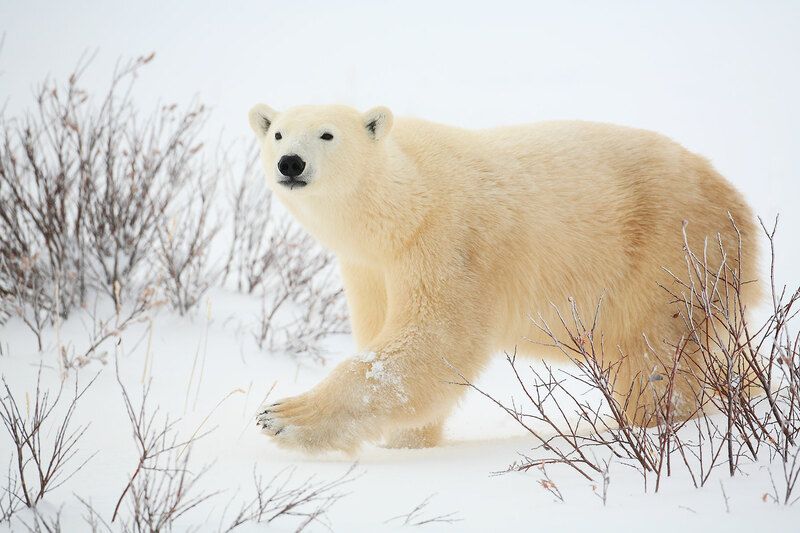 The idea of a provincial Polar Bear Park, encompassing the whole Hudson Bay coastal region from Churchill right through to Ontario, is being studied. Additionally, the Manitoba government is crafting a provincial marine protection strategy for belugas in the Churchill River, other rivers and Hudson Bay. Done right, the new protection initiatives for beluga and polar bear habitat could put a stop to the shaky oil-by-rail plan. The town of Churchill is supported by two economic pillars: ecotourism and the seaport. Shipping is essential to the town, yet crude oil is the worst possible cargo to move through this sensitive northern environment. One solution to the threat of crude oil through Churchill is staring at us from the news every week. The federal government has just mandated rail companies to ship a weekly volume of grain, which has been stranded across the country. The provincial government is looking to move grain to Thunder Bay. Mandating that a guaranteed volume of grain be shipped through Churchill, as has happened in the past, would keep the port active, and the north would be free of the devastating crude oil risks. Lived and worked in Churchill 1965 to 1968. Great experience. Shall do the rail trip with a few years just to see the changes. Tourism is the way to go.